SCOTT ISOM FARRIS, son of John Edgar and Astrea Alberta (Gober) Farris, was born 4 November 1912 in Frederick, Oklahoma; married Mildred Burns (divorced); married Catherine Eva Burton. Scott and Catherine had one child, Anita Jean Farris. 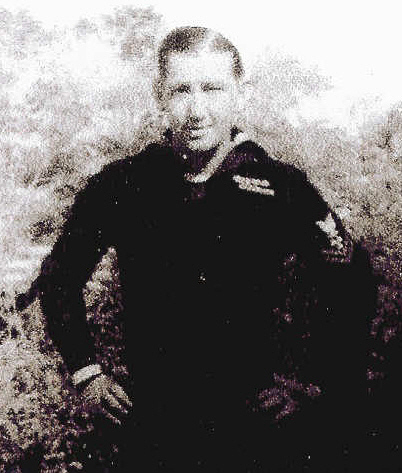 Scott was a farmer in the Frederick area before joining the U. S. Navy prior to WWII. He was serving on the U.S.S. Nevada stationed in Pearl Harbor, Hawaii when if was attacked and he received burns during the bombing. After recovering from his wounds, he remained in the Navy and was involved in the invasion of Iwo Jima. After the war he returned to Tipton for a short time then moved to Phoenix, Arizona where he worked as a heavy duty mechanic for Arizona Machinery Company until his retirement. Scott died 24 April 1995 at the age of 82 years and 5 months. Scott is buried in Phoenix, Maricopa County, Arizona. Bio written by his nephew, Farris Laverne McKinley and Barbara Farris Cunningham. Write-up not included in original 1940's publication.